Red currants are a delicious way to pimp every müesli, dessert or cake. The lighting and dof are magical. This shot is incredibly well done. Lighting, focus, composition, pov, and the bokah in the background are like little berries too. Fav. How cool to see the way you've used backlighting to bring out the hint of the seeds. Mona I always love how you frame and light your photos. Do you do this professioonally!?? 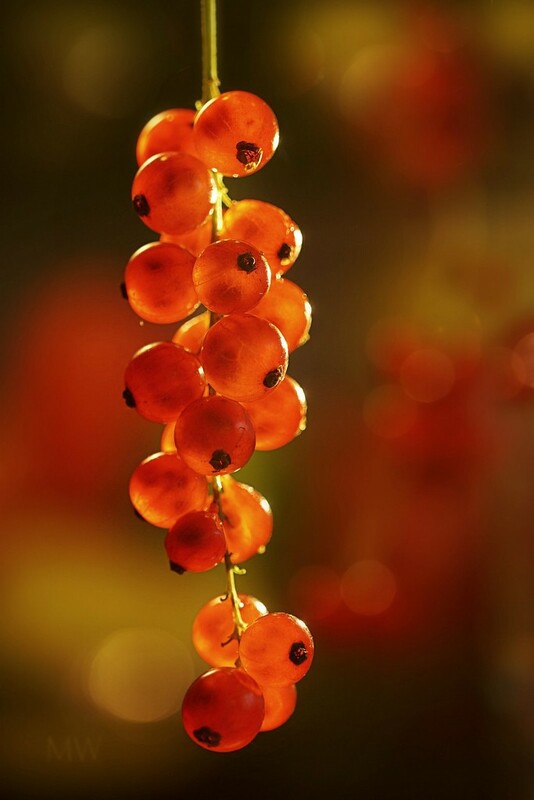 I like the light through the translucent berries. I don't know how you make everything look like a beautiful advertisement! Fav! Beautiful with the light shining through!